The new Americas Rallycross series is preparing to wind up its inaugural season September 29–30 with a race at Circuit of the Americas in Austin, Texas. Which raises a question–two of them, actually: Were you aware the season was coming to an end? And were you aware there even was a season? Americas Rallycross is an all-new series, though the casual fan attending one of its races might not pick up on that. 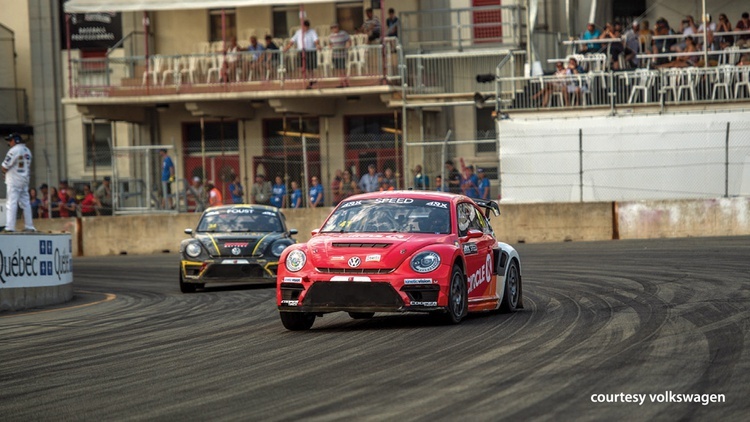 It looks very much like the series it replaced, Red Bull Global Rallycross, which floundered in its 2017 season and went belly up at the end of the year amid charges of unpaid bills and unkept promises. The FIA World Rallycross Championship–that’s the Europe-based series with top drivers like Petter Solberg, Sébastien Loeb and the current series hotshot, Johan Kristoffersson–is owned by the enormous IMG, a conglomerate that controls events ranging from the Professional Bull Riders Association to Miss Universe. Just after Christmas, the management at IMG had a decision to make: Let rallycross die in the U.S. or try to save it? As you may have guessed, they are trying to save it, but with so little time, it has been difficult to get traction. The first event was the massive Speedmachine festival at Silverstone in England in May, an unlikely place to debut Americas Rallycross. Still, placing the series next to the World Rallycross Championship gave it some credibility. 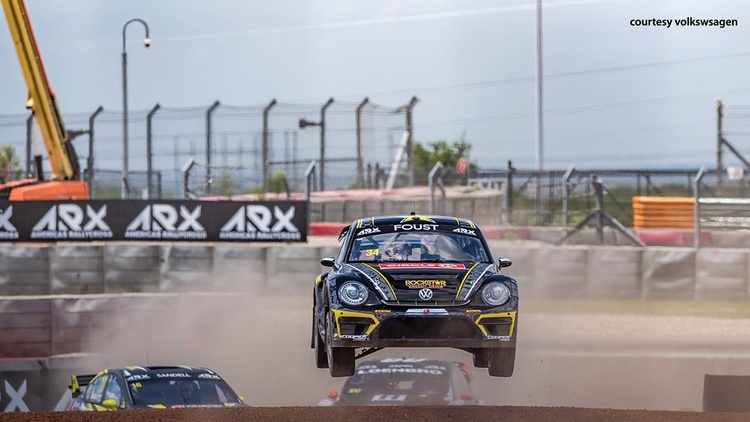 It also attracted a few drivers, helpful since only Volkswagen and Subaru brought their cars from the U.S.
Next came the ARX standalone in Austin, considered more of a test run for the September 29–30 show than a viable event. Even so, the crowd wasn’t that sparse, in part due to a massive cars-and-coffee show at COTA in the morning. There was also the appeal of having Ken Block back in the series, and of Travis Pastrana guest-driving for Subaru less than a week after his blockbuster live Evel Knievel-type show in Las Vegas. As it did in England, IMG is pairing the American and international rallycross series together when possible, figuring the association can only help the American upstart. That is how the September event at COTA will work, too, but with a lot more of the World Rallycross trademark entertainment that keeps the day moving along: bands, DJs, food trucks, probably drifters. Expect not just racing, but a show. Which brings us back to Trois-Rivières, the venerable road course located about 2 hours from Montreal, depending on traffic. World Rallycross debuted there in 2014, and one of the leading attractions was an appearance by Jacques Villeneuve, Quebec’s favorite son. Since he retired from driving, Villeneuve has been living in Europe, currently working as a commentator for F1 races. But the chance to come home and fill that extra Subaru seat vacated by Pastrana, who had other commitments, worked out perfectly. This was the first time Villeneuve was in a rallycross car since that 2014 appearance, “and I’m a little rusty,” he tells GRM. “But the rust is coming off, and the car is quite fast.” The Subarus are prepared by Vermont Sportscar, which probably knows more about rally and rallycross than any other shop in America. Villeneuve didn’t qualify for the main event, but he was fast and seemed pleased with his performance–or as pleased as a former F1 champion can get. But the Subarus, driven by Patrik Sandell and Chris Atkinson, are just a tick behind the Volkswagen Beetles that come from Michael Andretti’s shop. 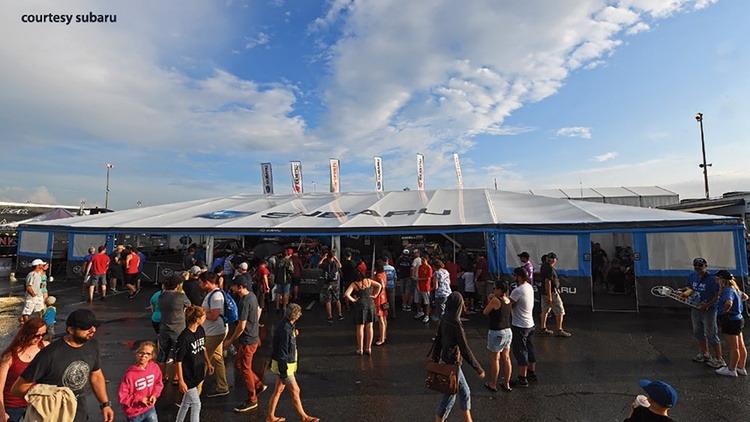 Those VWs–just like the new Ford Focus cars driven by team owner Steve Arpin and his co-driver, Ken Block–benefit from a strong connection to World Rallycross teams. Currently VW and Subaru are the only American Rallycross teams that enjoy official factory status. Ford gets some arm’s-length help, but that may change, and Ford’s motorsport head, Mark Rushbrook, tells GRM that he’s thinking about increasing Ford’s support. IMG is actively pursuing other manufacturers, such as Honda, Nissan, Toyota and especially Hyundai, which already participates in World Rallycross. 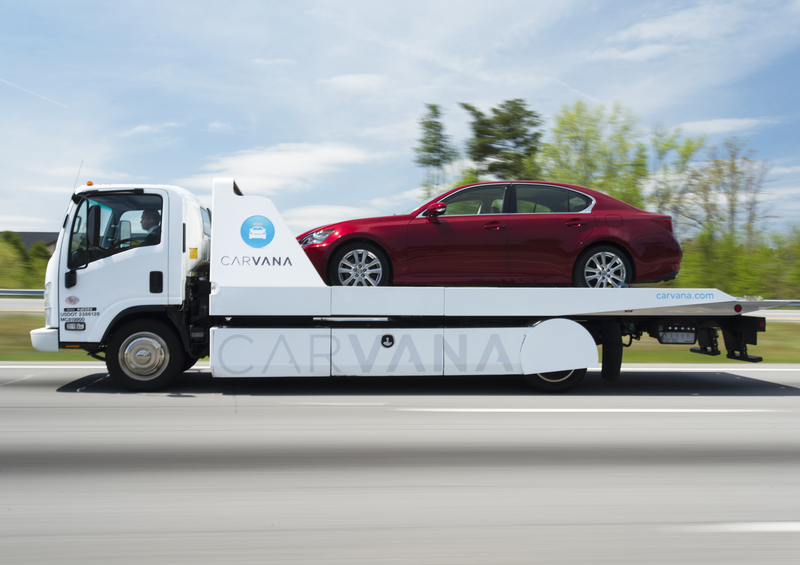 It’s likely we will see at least one of those companies involved next season. Speaking of next season, the schedule is still being developed. 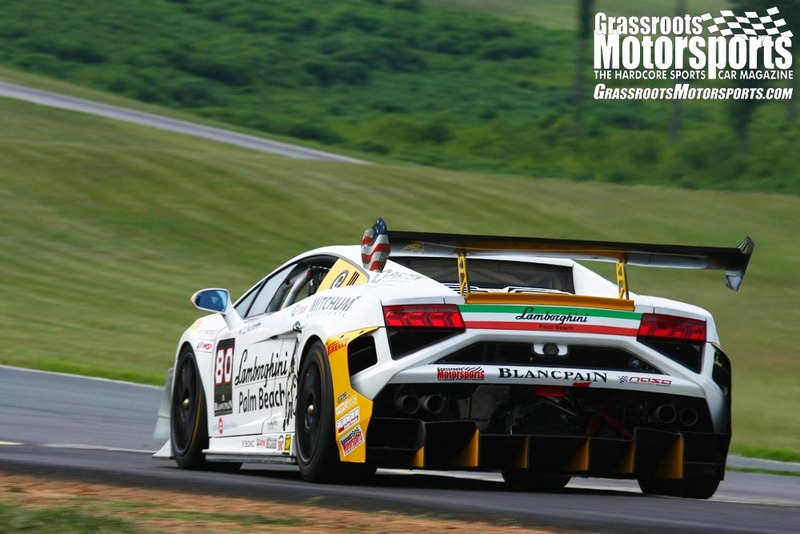 Since ARX is now FIA-sanctioned, it’s been trying to stage events at FIA tracks in the U.S. This may prove difficult, but the rumor is that the series will begin in 2019, shortly after the first of the year, back at Trois-Rivières. But doesn’t it get kind of cold up there in the winter? Indeed it does, so the races would be held inside a building that supposedly can hold 10,000 people–and the drivers will likely be racing on ice. That should also be the debut of a more aggressive TV package for ARX. Until then, IMG is working to make the September COTA race one to remember. The Americas Rallycross series needs that, because as it is, it’s barely on the map. Join Free Join our community to easily find more Subaru and Volkswagen articles. Once 2WD and privateers were run out of GRC I stopped caring. VW is done with the Beetle, but can always bring a Golf. Ford does not have a car to run in the USA (Rallycross Mustang? I think not). It could be interesting just to see what shows up to race against Subaru. 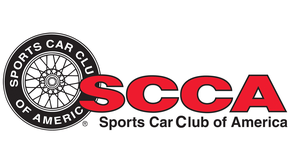 I actually stage rally (and SCCA rallycross), and (on paper) even compete against some of these guys on the stages. I honestly couldn't care less about ARC (or GRC). It it were full of privateers (and 2WD cars) I'd be much more interested. While I like the concept, it's not much fun when it's just big-dollar factory-backed cars built to last about 10 minutes that aren't even "real" in some cases (VW....). But they'll never do privateers because then there's a good chance the title-sponsor factory teams would get beaten (just like happens in stage rally, which is already bad enough about sucking Subaru's d**k at ARA events). Can't have the factory sponsor teams losing to some dude in a machine he built in his garage, right? While i'm sure the casual motorsport fan likes it better that way (just like they crowd around the factory-backed cars at any stage rally), it doesn't make for much fun or variety. I knew because I was there and came the closest to getting hit by a car or parts as a marshal as I ever had. Not going to forget that any time soon. I even have the hat to prove it. It was good racing and I enjoyed working it but I really like rallycross and worked the prior 2 series as well that ran in the US. Problem is there just isn't a fan base. The groups have been fractioned and inconsistent. There is little amateur W2W rallyX type racing out there in NA. I expect that in a few years, we will no longer have ARX around either.